Data and analytics leaders now come from all parts of the business. Data and analytics programs are no longer being led exclusively by IT but are created by and for other business leaders. The integrated, connected, real-time nature of digital business requires collaboration between historically independent organizational units, and data and analytics programs are at the center of it all. To realize your digital business vision and for cross-organizational collaboration to happen, business and IT must work together on vision, strategy, roles and metrics. The trends impacting data and analytics, and the challenges and opportunities they create. How leading organizations create and evolve their information and analytics strategies. The leading practices in data and analytics programs. 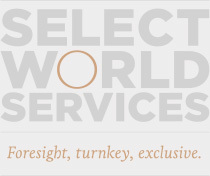 JOIN US for senior-level conversations, exchange of ideas and networking at Select World Services’ Exclusive, intimate, by invitation only CXO dinner – Data and Analytics.